The barrier between you and a great night’s sleep could all come down to bad sleeping habits. Habits that may seem insignificant could be preventing you from getting deep restorative sleep. Little things like looking through your Facebook feed in bed. Or, staying up late to get housework done that could probably wait until the weekend. Or, the one we’re all guilty of, watching just one more episode of that binge-worthy TV series. Regardless of whether you think your bad sleeping habits are minor, it's more than likely costing you much-needed sleep. And getting the right amount of sleep every night is vital. As indicated by the National Sleep Foundation, if you're 26-64 years of age you ought to be getting 7-9 hours of sleep every night. Getting under 7 hours of sleep because of bad sleeping habits banks up after time. What's more, as we’ve talked about previously, it takes effort to repay your sleep debt. It’s pretty obvious that having caffeine in the afternoon is one of the bad sleeping habits. A quick espresso or a hot tea toward the end of a long day is so enticing. Particularly when you hit 4 o'clock and your body is shouting out for a little pick me up. Indeed, even a cup of green tea contains enough caffeine to keep you up at night. Fortunately, there are loads of options for replacing your afternoon caffeine hit. Like herbal tea. If peppermint or chamomile don’t take your fancy, spice it up a bit with something unique or special. There are a lot of mixed herbal teas available now that will feel like you're having a treat. Or, if herbal tea isn't your thing get some fresh air. An energetic stroll outside will get your endorphins going and enhance your state of mind. It’s no secret that beating caffeine is a challenge. In fact, it could take 3-7 days before you lose those afternoon caffeine cravings. But, it will be worth the effort. Sooner or later, you'll see your caffeine withdrawals vanish and you'll be sleeping much better. Let’s talk about pillows. Because most people don’t know enough about how to sleep on them. And one thing you may not know is that having more than 1 pillow can impact your sleep. If your pillow is getting old and a bit flat you may be tempted to stack two pillows together instead of treating yourself to a new pillow. Big mistake. And here’s why. Stacking two or even more pillows together instead of buying a new supportive pillow can damage your neck. Your neck may bend in an odd way which then puts pressure on your spine. It can even cause bad spine alignment which leads to headaches. Seems like a big price to pay for something so small. So, how do you know if it’s time to go out and buy a new pillow? Some pillows have an expiry date printed on the pillow itself or the label. If yours doesn't a basic method for testing it is to overlap it in 3, squash it to get all the air out and if it springs back into a fluffy form then it's fine. If not, and you know it's been a couple of years, it's a great opportunity to get another one. Make sure to write the date you got it on the label so you know when it should be replaced down the track. It’s no surprise that nestling up to your dog or cat in bed is soothing, but have you thought about how it's influencing your sleep? For a few people, having a pet in bed is essential for their mental health. Yet, for most, it's doing more harm than good. A study published in Mayo Clinic Proceedings reported on 40 adults who are dog-owners. Through overnight surveillance, it was found that owners slept better when dogs were in the bedroom as opposed to on their bed. Co-sleeping owners woke up more frequently during the night and were more tired and cranky the next day. In fact, the way they felt the next day was the equivalent to if they had as little as 4 hours sleep. So, if you don’t sleep well it’s best to make a comfortable little bed on the floor of your room for your pet. It will take a while for both of you to become accustomed to it but if it means a better night’s sleep then it’ll be worth it. We all do this sooner or later. Fall asleep while watching TV. It’s pretty tough to pull yourself away from a TV watching marathon. However, this is an extremely bad sleeping habit. Truth be told, it's not simply TV but all electronic devices. Looking through your Facebook or Pinterest feed on your phone or playing Candy Crush on your device are all pre-bed perils. Our recommendation, turn off your screens no less than two hours before sleep time. Yes, it will be difficult however you won’t regret it. You can simply get up to speed with TV the next day or on the weekend. Anyway, wouldn't it be fantastic to finally finish that book you’ve been reading? Or complete a puzzle, play a board game, meditate or invest some time simply relaxing. For more about blue light check out this article. Odds are, you've hit the snooze button on more than one occasion when your alarm goes off. Or maybe you do it every day. Don’t worry, you're not the only one. Hitting the snooze button is a common bad sleeping habit. Anyway, you might think, what's the big deal if you need to get a couple more minutes sleep? Well, each time you float off back to sleep you're sending your body a message that it's entering the beginning of the sleep cycle. Your body will begin to release melatonin triggering deep sleep. And after that, you're suddenly woken again by your alarm. In the event that this happens at least two times, which you can bet it will, you may get sleep inertia. That groggy feeling when you first wake up. Your brain and body are a mess. What's more, you may feel like you've had almost no sleep despite the fact that you've had at least 8 hours. You can read more about the health impact of hitting the snooze button here. Overcoming this habit is pretty simple. If you put your alarm on the other side of the room where you can’t reach it then you won’t be able to hit the snooze button. You’ll have to get out of bed to turn your alarm off. And by the time you’ve managed to get yourself out of bed you’re less likely to hit the snooze button. For more great tips to stop hitting the snooze button check out this article. Do You Still Feel Tired During The Day After Beating Your Bad Sleeping Habits? If you’ve overcome your bad sleeping habits and you still feel tired during the day there could be something more serious going on. It’s important to make sleep, and your health, a priority. 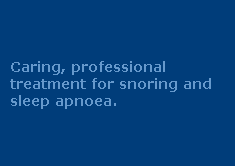 Sleep disorders, in particular, sleep-disordered breathing, are very common. And most people who have it don’t realise until someone tells them or they have a sleep study. The negative aftereffect of sleep-disordered breathing are serious but the results of treatment are extraordinarily positive. If you think you may be suffering from something more than simply bad sleeping habits call us today on 1300 246 637 or submit the contact form below for a free chat with one of our friendly Sleep Therapists. Contact us now.